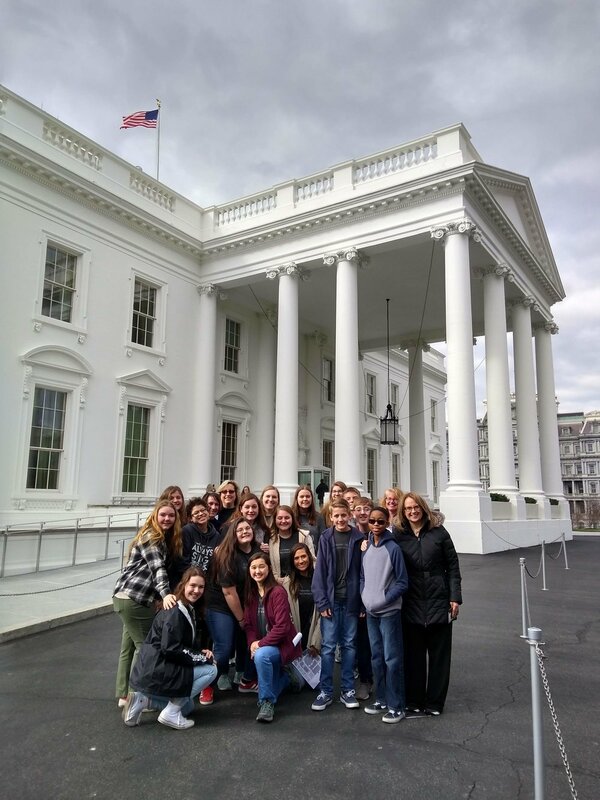 The RVCC went to Washington D.C. ! Singing from our hearts and loving every minute of our time together! 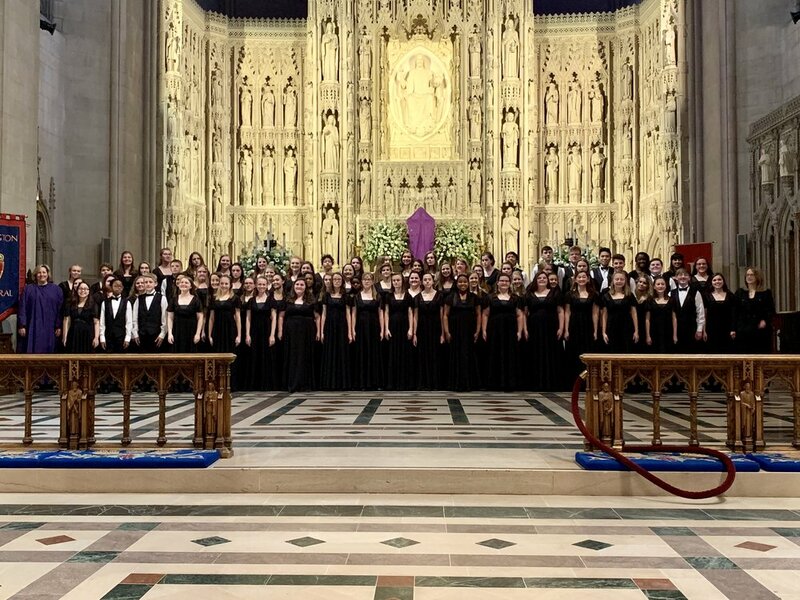 It was an honor to be sing the Evensong Service at the National Cathedral in Washington D.C.. We sang the Preces and Responses, a Psalm, Magnificat, Nunc Dimittis and an Anthem. We had a tour, learned how to process in and out, practiced with the Cathedral Organist and learned about the majesty and traditions of the National Cathedral. The service was and the entire experience was somber and elegant, yet joyful and exciting! As always, our singers certainly did shine! 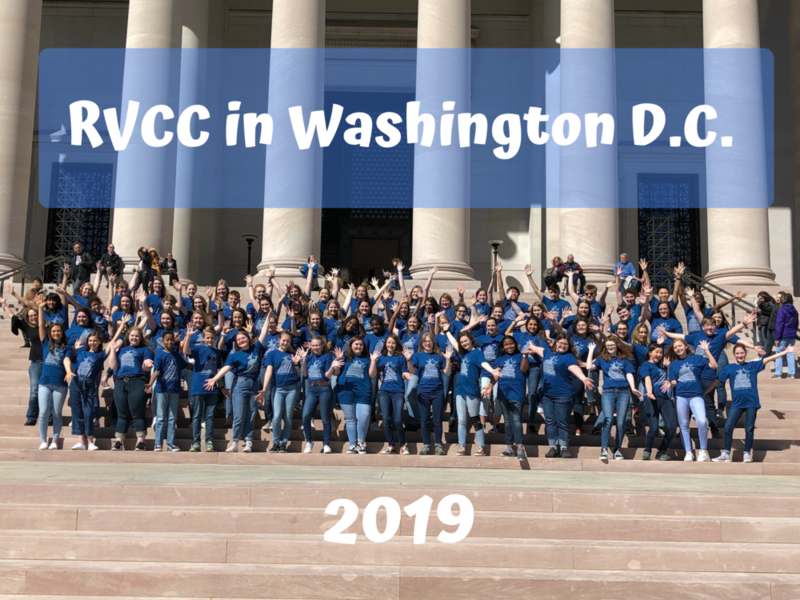 The Concert Choir from the Roanoke Valley Children’s Choir in Washington, DC, March 22-24, 2019. 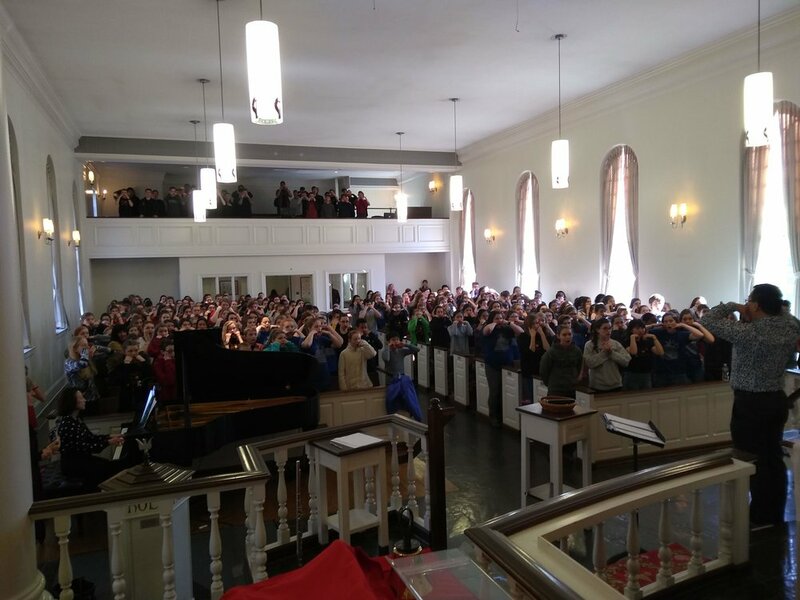 The C Choir had a practice performance at Bethel Baptist Church on the Sunday prior to our trip and on Thursday we loaded the buses and headed to DC. 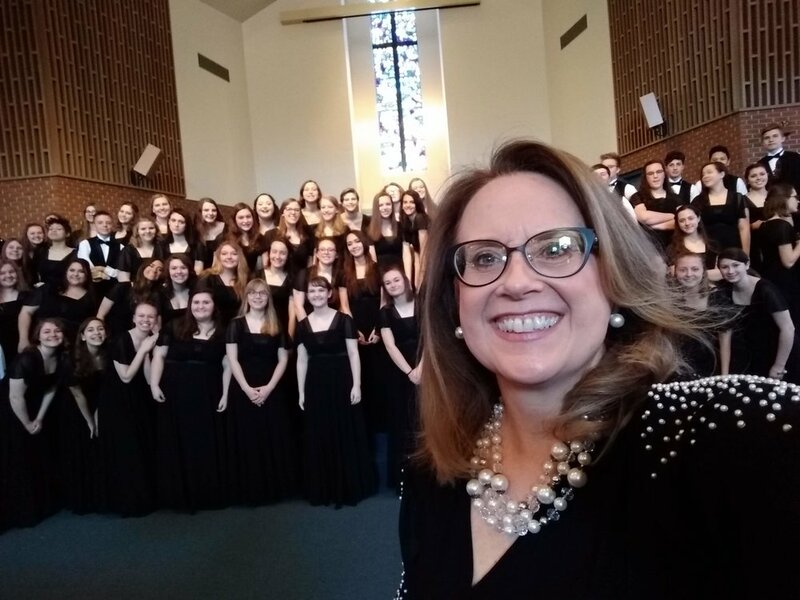 On Saturday and Sunday we participated in a Choral Festival with the Shenandoah Valley Children’s Choir, the Children’s Chorus of Washington, DC, and the Strathmore Children’s Choir. We had rehearsals on Saturday, followed by pizza lunch together. The concert on Sunday, at Strathmore Hall, was AMAZING! Each choir sang solo repertoire and together we performed four songs. The music and friendships will last a lifetime! 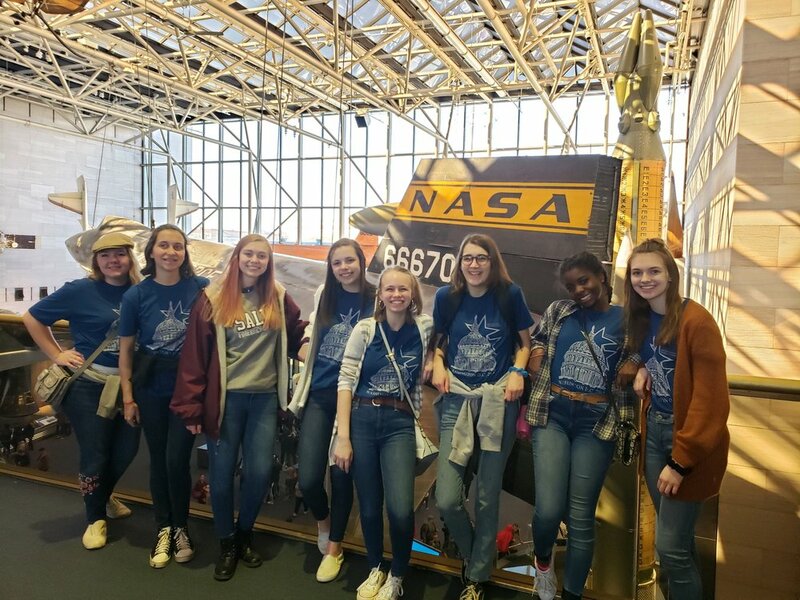 In between performances and rehearsals we had a tour of the White House, the Capitol Building, and some time at the Smithsonian and on the National Mall. Senior night was especially high-spirited and full of big laughs and funny stories. We did have a few hiccups along the way, just to keep us sharp! Besides the usual small illnesses and/or misbehaving choristers, on our Sunday performance day, at Strathmore, the lunch orders got mixed up and I (Ms. D) had to go into full “Ms. D mode” with the manager and staff at the restaurant to get the food to our choristers. Then one of the busses broke down and all 76 choristers piled on one bus to drive to the performance site. Since we were running behind schedule we practiced on the bus! It was rushed, a little panicky, hot, close quarters, instructions being called out and then switched and called out again and again. We were a bit stressed, but nothing a good bottle of water, poking some singing fun at the restaurant, and some encouragement couldn’t fix. No one could ever tell that our choristers had been stretched nearly to their limits when they performed with precision and heart! We have the best young people and I am grateful for them and the fun and excitement that goes along with it. Hurray for our Washington trip. Awesome trip leaders! Awesome Chaperones! Awesome Choristers! It was a 100% success! The RVCC was featured on "Living Local" TV Show! Thank you for your support on "RV Gives - Giving Day"!